I am the first to admit to you that it took me far longer than it should have to see the writing on the wall. After all I spent the first 25 years of my career in sales and sales management positions with three tier one companies with nary a day spent in transition and the confidence that comes with it. The metaphor for my career at that point was one of a a Charging White Steed…you get the picture Less than 10 years and six companies later I finally came to the realization that that Charging White Steed was now glue factory bound. So at 56 I had some tough decisions to make and tougher realities to face. My retirement nest egg that was was on track 10 years previously had been decimated by the two fisted assault of stock market declines combined with income instability. Maintaining my present course was a recipe for frustration, unhappiness and a vastly underfunded retirement. I recognize that my story is by no means unique The tales of people struggling after losing once stable jobs are all too common. So what is my advice for the legion who find themselves in similar circumstances? It may be time to press the reset button on your career and life. It is what I did and it has been one of the best decisions ever. My only regret is that I didn’t do it sooner. Change Your Frame of Reference – It was only after I realized that my financial circumstances might necessitate working beyond 65 that I even contemplated the concept of personal reinvention. My mindset prior to that was all about landing a new job that would hopefully offer the opportunity to bridge the gap to retirement. Contemplating work beyond 65 changed my time horizon from 5 to 10 years to 20 plus years. This for me was a game changer for the better. With the increased time frames it gave me both the time to reimagine my future and the motivation to find something that I was truly passionate about. 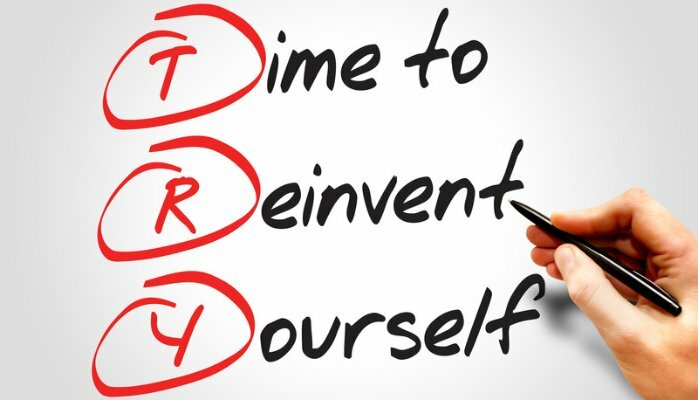 It’s Time to Take Your Health Seriously – Reinvention for your Second Chapter is predicated on good health. For those already there I am preaching to the choir. For those yet to make it a priority my only words of wisdom are that far too few people fully realize the importance of good health until they no longer have it. The number of energized and engaged seniors is exploding. You owe it to yourself to do everything possible to be in that number. What are the Risks in Maintaining Your Present Course – Yes making significant changes in your life can be frightening. After all it can be difficult to walk away from a career course that you invested twenty or more years in. But sometimes the risk of maintaining the status quo is even larger. Think about the cost to your finances, health, happiness, self-esteem. There are many people who, although extremely unhappy with their present lot, don’t believe that reinvention for them is possible due to financial obligations. I would counter that although there may be obstacles to overcome, your future happiness is worth anytime invested in considering alternatives. Speaking of investments you may well ask if my finances had taken a major hit where did the funding come to support my change of course. Let me start by saying I am not a financial adviser. When I made the decision to work beyond 65 it meant I was less concerned with the size of my retirement next egg. So I used some of my money allotted for retirement to fund my reinvention. I recognized that this entailed risk, but I was willing to bet on myself. This was also done with the realization that doing nothing was no longer an option I was willing to consider. Don’t Go it Alone – Change of this magnitude is seldom easy and there are bound to be times when you question your new direction. Your path will be made much easier with the support of friends and family. You may also want to consider retaining the services of a Life/Career Transition Coach to be an unbiased sounding board as you explore possible routes to an encore that you can be truly passionate about. Keep the End Goal in Mind – Change of this magnitude will not happen overnight. You may need to go back to school or scale and monetize a new business. Regardless it could well entail an investment in both time and money. Perhaps this will be your opportunity to find your true calling, create your legacy or to give back. The key is to develop a well thought out and researched plan that includes realistic timelines. Given good health there is no reason why the years between 50 and 80 can’t be the some of the most productive and happiest of your life. With the benefit of the maturity and wisdom that 50+ years of this life provides it is time to make your next chapter your best chapter. If your present and future view is not of your liking it is time to reimagine it. Be fearless…it is worth it. 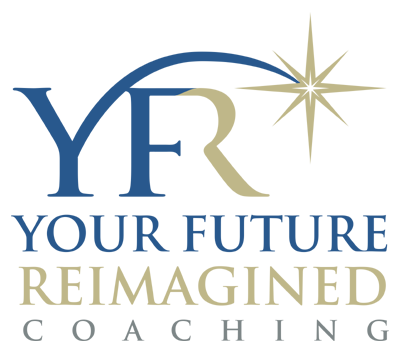 As President of Your Future Reimagined (YFR) Coaching and Consulting, I help professionals/executives successfully transition to enjoyable and enriching retirements.